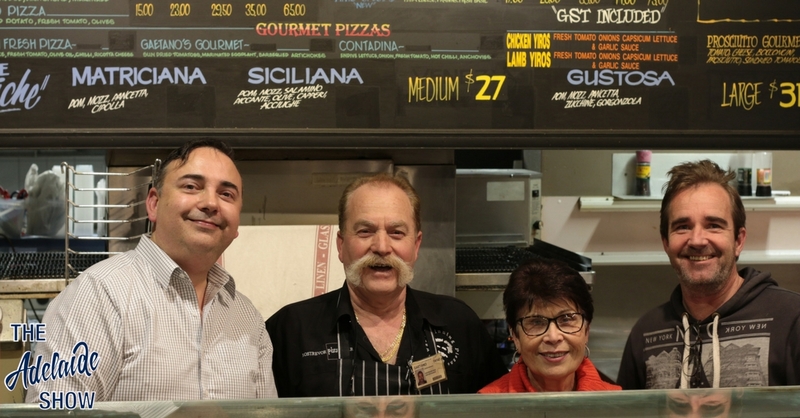 For 30 years, Gaetano Lepore has been standing behind his bench at Rostrevor Pizza Bar, serving up great pizzas while the industry went thick and thin around him. Tonight, we get his story; pizza, community, business, the lot! That’s Gaetano and Josie in the photo with Steve and Nigel. This week, the SA Drink Of The Week is Penfolds Bin 28. NIgel will try to stump us in IS IT NEWS on the topic of Rostrevor. In 100 Weeks Ago we hear from Sophie and Tom, the people behind Sweet Cheeks Photo Booths about changes in wedding and event photography since Gaetano started…. And in the musical pilgrimage … Dan Drummond’s found a song about winter (probably because his job makes him get up at 5am around Port Adelaide). The recent Film, Television and Digital Games Survey, conducted by the ABS for Screen Australia, showed a staggering growth in web series made in Australia: from just 107 episodes in 2012 to 3248 in 2016. At the same time, the amount of TV drama broadcast fell from 632 hours to 497, while the quantity of TV documentaries being made dropped from 566 hours to 444. This explosion in web series is fostering a far more democratic platform than TV or cinema. 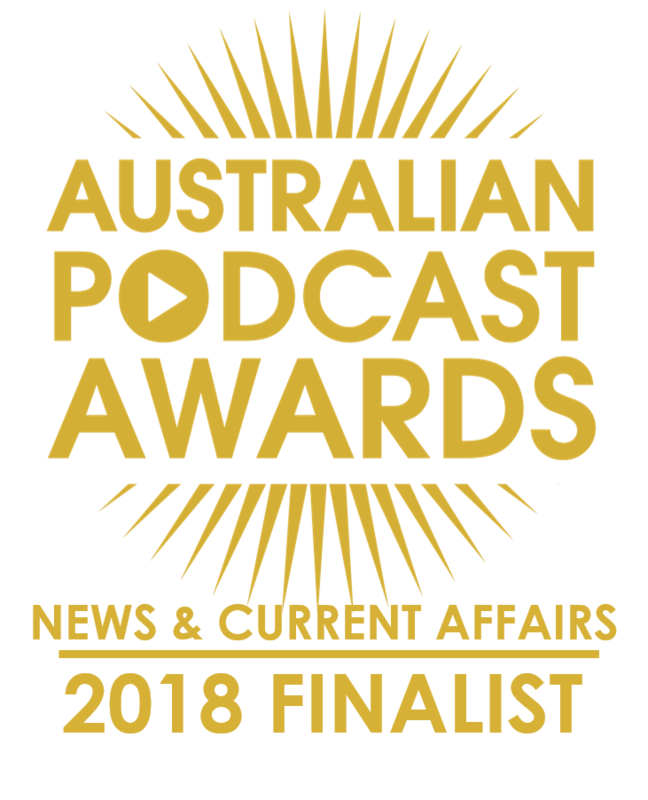 For the Rostrevor Pizza Podcast, we recall that when Steve first moved to Rostrevor in the mid-naughties, his staple diet while doing renovations on his new home, was pizza from Rostrevor Pizza Bar. He’d never tasted anything like it and even though it was a little pricier than the fast food brands, he always suspected he was getting more for his money. As it happens, Steve has been a customer for only a third of the life of Rostrevor Pizza Bar, because the man behind it, Gaetano Lepore, started his restaurant 30 years ago this month. And he’s doing a rare thing and sitting down with us to talk all things pizza. Gaetano, have you basically been standing up for 30 years? Is your wife, Josie, still happy about the decision? How does family life work in a pizza bar? Tell us about the dough? Are there tricks? Was delivery a “thing” when you started? Does Dominos hurt you with its app and delivery map, etc? What do you think of all these Eat Now apps and Uber Eats, etc? What is “on trend” in pizza these days? What is the stupidest thing you’ve seen in pizza over the years? Was it a pizza crust stuffed with meat pies? What is the best innovation? Is there such at thing as truly authentic Italian pizza? Campbelltown Council has a Pizza Month underway. Why are you not part of that? What makes you want to stop? Is a pizza man a confidante like a hairdresser or priest? The Government has decided not to purchase Rostrevor as the new residence for His Excellency the Governor. The Treasurer (Hon. Crawford Vaughan) said on Friday morning that that conclusion had been arrived at because Cabinet was not quite satisfied concerning its suitableness for a Governor’s residence. Personally, he thought it was admirably situated for that purpose, although of course, it would require considerable expenditure. The Government was hopeful, however, of securing Morialta Falls for the people as a picnic resort. The proposed purchase of the Rostrevor Estate has been the subject of considerable criticism by the Opposition in Parliament. Two trams to and from Rostrevor, between 7 and 11 p.m., are to be provided from tonight on a month’s trial. This follows a request by Campbelltown District Council to the Municipal Tramways Trust. For some time there have been no night trams from Adelaide to Rostrevor between these hours. The trams under the new scheme will leave Adelaide for Rostrevor at 8.42 and 9.30, and will leave Rostrevor on the return trips at 9.20 and 10.8. If these trams are patronised satisfactorily, they will be retained after the month. The trust’s decision follows complaints by local residents that they have been inconvenienced by having no trams for four hours. A species of African freshwater jellyfish, never before seen in Australia, was found this week in Rostrevor Lake on the grounds of Rostrevor College. The jellyfish, a miniature variety known as Craspedacusta Sowerbyi, inhabit the Great Lakes of Tanganyika, Africa. Several live specimens were sent to Adelaide University lecturer in zoology (Mr. Ifor Thomas) for examination and study. Mr. Thomas said today:— “To my knowledge it is the first time Craspedacusta Sowerbyi has ever been found in this country. “How it came here is a mystery. But this species has often turned up in unexpected places before. “It was first found outside of Africa in the London Kew Gardens, in the 1880’s. People then decided it had come in in egg form on some African water lilies. “Several years ago, when I was a student at Cardiff, in South Wales, Craspedacusta Sowerbyi was found swimming in a mine pit pond. How it got there was a mystery that was never solved. There is no need for concern over its appearance at Rostrevor Lake, because it cannot possibly taint the water. “It is very small, about one centimetre across (slightly smaller than a threepence), and looks rather like an umbrella with a short handle. It has a number of tentacles round the edge. In 100 Weeks Ago, we dig into the vault to find a snippet of our interview with Sophie Laundy and Tom Williamson about their business, Sweet Cheeks Photo Boths (which happens to be up for sale at the moment). Given we have been speaking with Gaetano about 30 years of changing trends in pizza, here is a snippet about the advent of disposable cameras on tables at weddings for guests to use. Steve asked Sophie whether that still happens and whether their photo booth does away with them. And our song this week is Winter by Songbird, selected by our musical curator Dan Drummond.